Êl síla erin lû e-govaned vîn! I guess this is the week for resurrecting old series. A long time ago, I did a post similar to this where I showed all the books I was donating to my local little free libraries that month. Since my family is downsizing in March, I've been donating a lot of my books (this time to Planned Parenthood) I won't have room for in the new house. Here's the latest batch! Like half the Wheel of Time series by Robert Jordan: These books are insanely long, so checking them out from the library isn't a viable option. I buy them so I can take as much time with them as I need, then I never read them again. I think I currently own #2-10. Not for much longer. Inferno by Dan Brown: As I detailed here, I bought this book because I wanted to support an independent bookstore, not because I'd originally planned on reading it. I enjoyed The Da Vinci Code, so I figured I'd like this one. Not so. I've tried reading it a few times, but I have no real desire. It also seems exactly the same as every other thriller I've read. As You Like It by Shakespeare: Also from the above book haul is this book. I actually read and loved this one, but I recently bought a collection of all the bard's plays. There's no reason for me to have two copies of one of them. The Girl from Everywhere by Heidi Heilig: Did I enjoy this book? Yes. Will I ever reread it? I doubt it, and I have little interest in trying the sequel. Let's chat! Have you read any of these books? What books have you most recently given away? Comment below, and have a lovely day. this is a cool idea! i would donate books, but i get way too attached to them and enjoy flaunting how many books i own. My boyfriend is currently reading and loving the Wheel of Time series and WOW are those books huge. And there are just so many. I can't blame you for getting rid of them. Also, The Girl From Everywhere is definitely one of those books I just knew would be okay but not interesting enough to pick up if that makes sense? 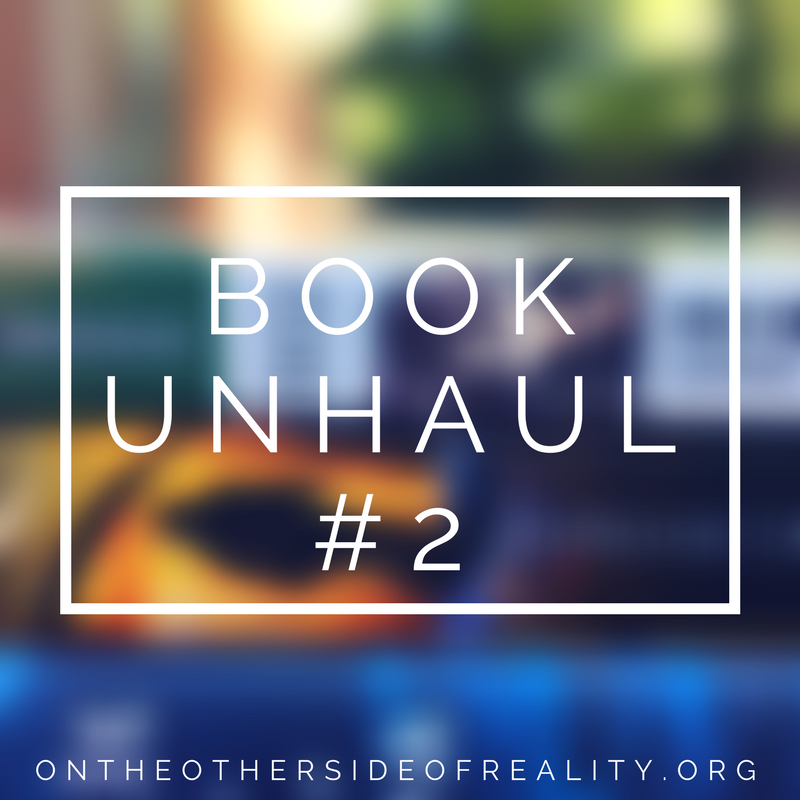 Anyway, I'm glad to see these unhauls because I feel like so much of our culture and the book blogging culture especially focused on material aspects of life, in having as many books or lipsticks or plants as you possibly can. But honestly, why keep something you didn't enjoy or don't have any use for? Great idea! I would also love to give books. Great haul of books. I'll try to read all of these. Thanks!